The big day has arrived. 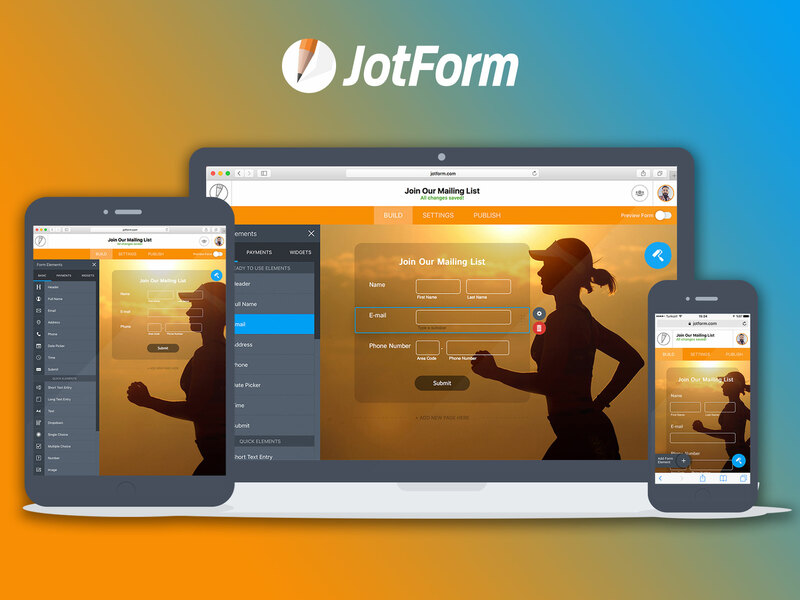 Meet JotForm 4.0 — the first fully functional online form builder that works on any device, including smartphones, desktops, and tablets. 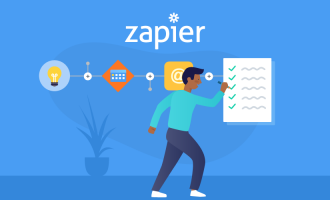 Our newest form builder has been completely redesigned from the ground up with a mobile-first approach because we know you’re increasingly working while on the go. 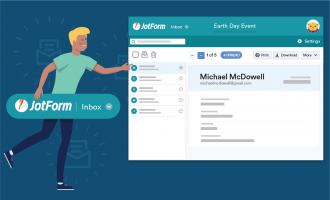 Plus, with JotForm 4.0, you can collaborate on the same form at the same time with your team, and keep working even while offline. Talk about 24/7 productivity! 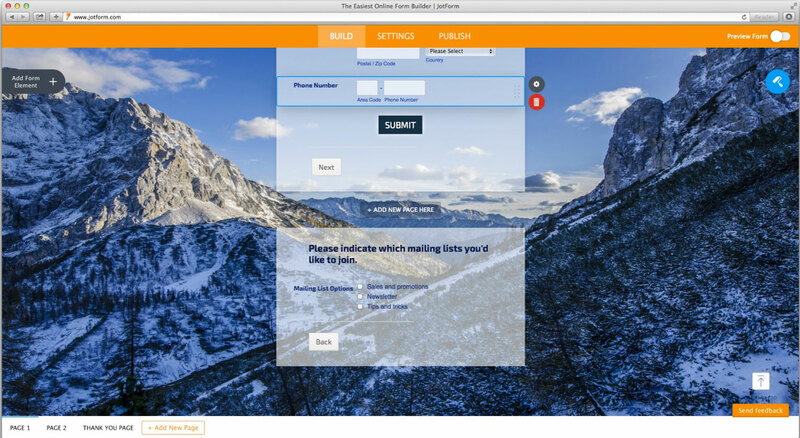 Create, edit, and publish online forms from any smartphone or tablet. 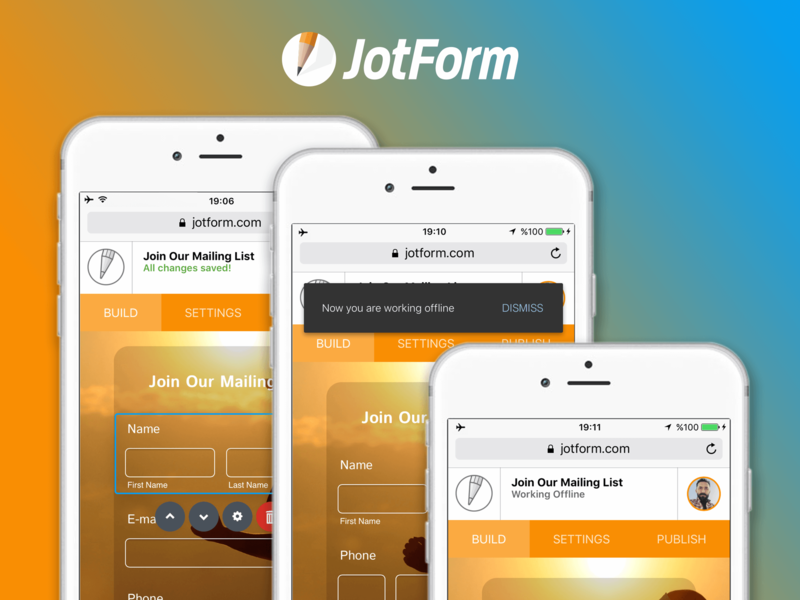 JotForm is the first online form builder to be compatible with all mobile devices. Access every feature, wizard, and setting to build the perfect form wherever you are. Multiple team members can simultaneously work on the same form. Changes are automatically uploaded so you’re always working with the most current version and never lose any edits. Continue editing a form even after you lose internet access so you never miss beat. Any edits you make will automatically be uploaded once you return online. Whether you’re on or offline, JotForm 4.0 lets you continue working. The handy Form Designer and Theme Store are now embedded directly in the form builder. 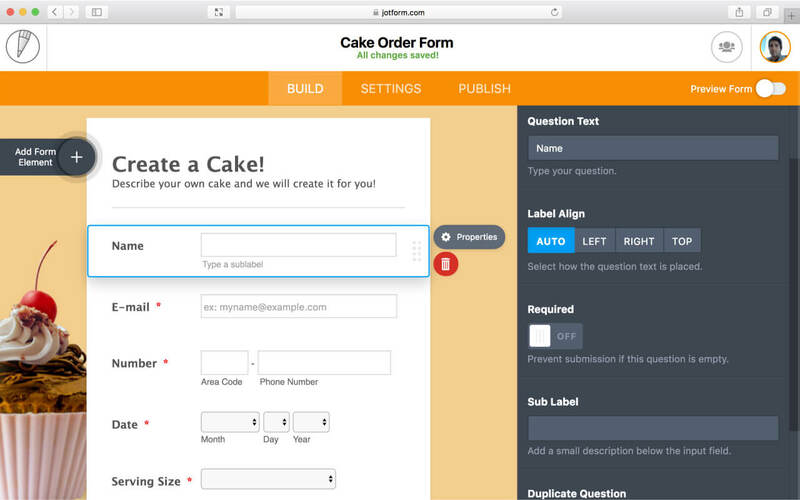 Now you can change the form theme and adjust design attributes without navigating to a different view. 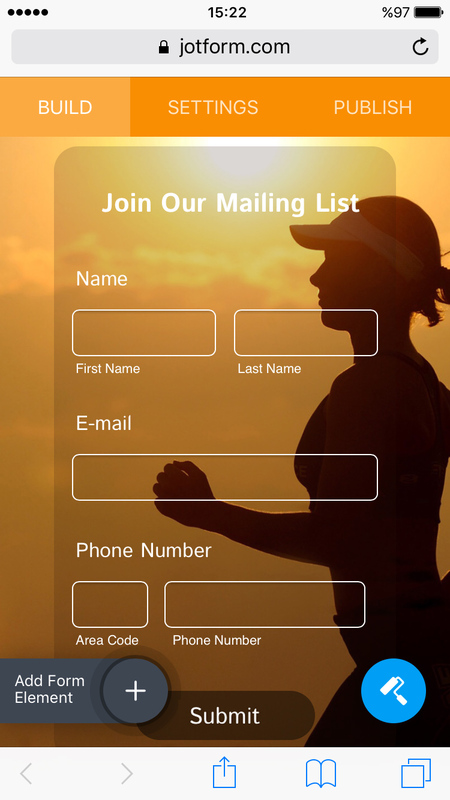 After every change you make, the form automatically saves, eliminating the need to manually click a button each time. You no longer have to worry about forgetting to save edits or accidental window closes. Your forms have always kept track of changes, but with the new Revision History view, you can view previous versions of your form without going back to your dashboard. Simply click on the “All changes saved!” link at the top of the form builder. 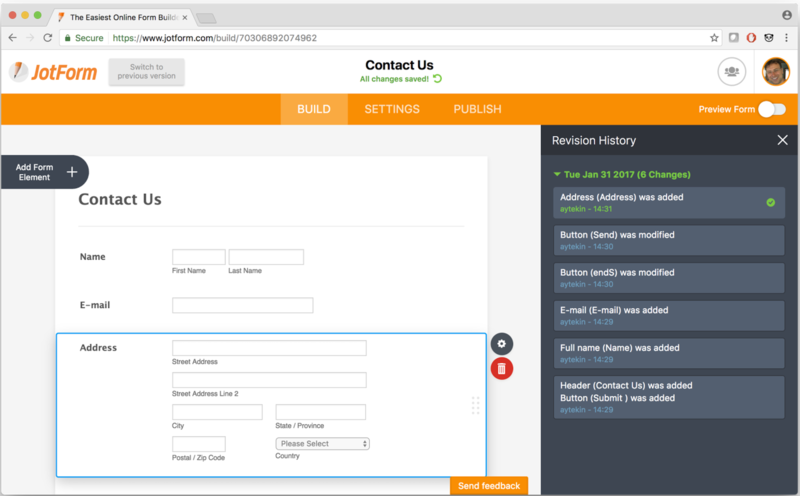 JotForm 4.0 displays perfectly on any screen resolution so users can easily work on forms across multiple types of devices. 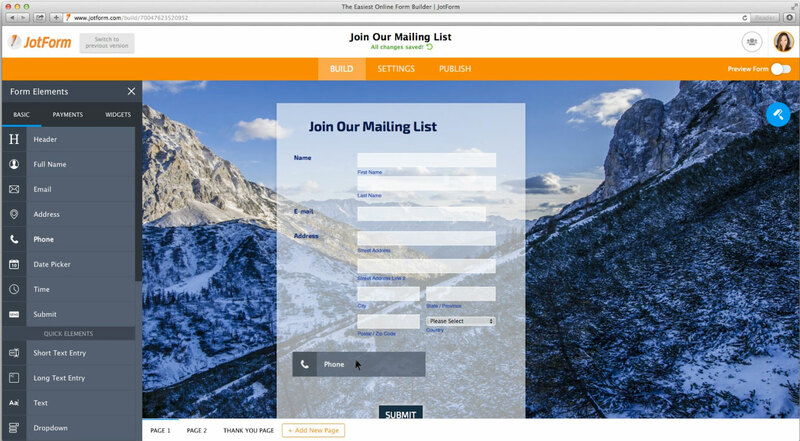 If you start building a form on your laptop or tablet, easily transition to your phone or another device and work with the same view. All of JotForm’s wizards have been updated for greater ease of use. Form Settings, Conditional Logic, Emails, Integrations, and Thank You Page wizards are now located on their own tab for easier updating. Also placed into a separate tab are wizards for Quick Share, Embed, and Platforms. In-page wizards, such as Payment and Question Properties, have been updated for readability and organization. Dragging form fields from one area to another has been improved for a much better experience, including between different pages in a single form. 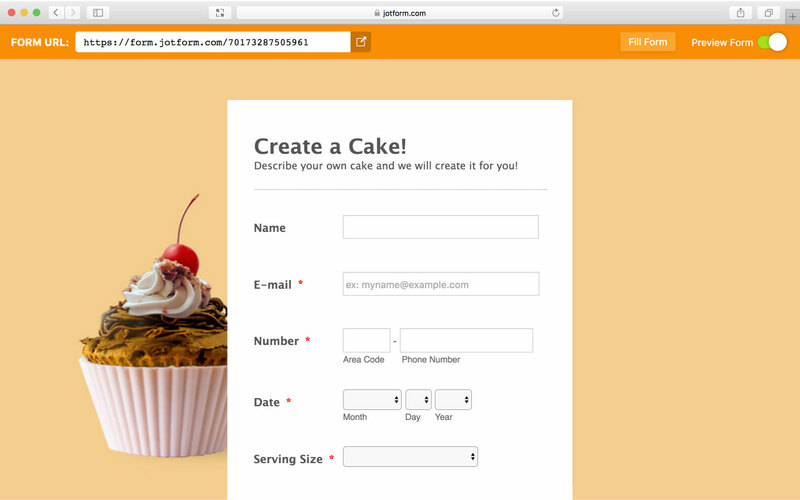 In our last version, you were able to preview your forms within a smaller popup. JotForm 4.0 allows you to preview any form in the same window in their full size, and can be toggled on and off with a single click. Instead of adding a Page Break survey field to separate your form into multiple pages, now you can simply add new pages to your forms with a single click. 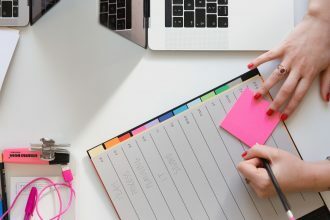 If your form includes various sets of questions, add new pages more easily to keep things organized for your respondents. …and that’s it. Whew! Thanks for making it to the end of this post. We hope you’re just as excited as we are about the new form builder. 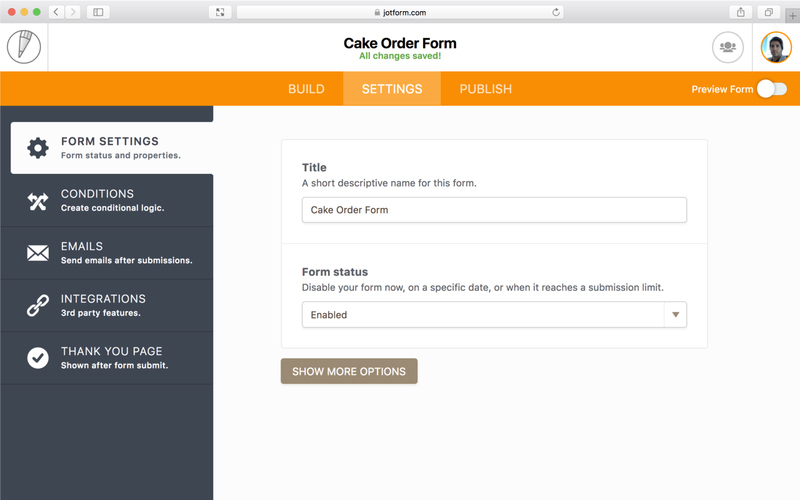 Here at JotForm, our mission has always been to help people build better online forms and be more productive. We hope we’ve accomplished that with JotForm 4.0. Try it today. 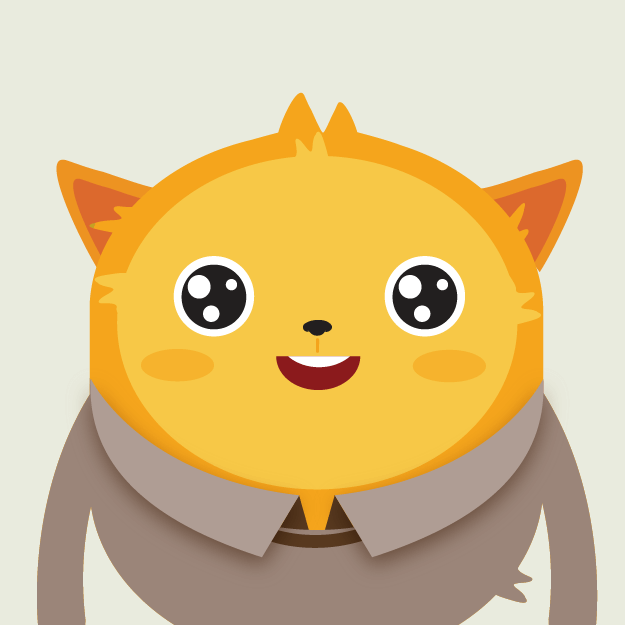 What’s your favorite new feature? Don’t forget to let us know in the comments! What if I switch to version 4 and it does not work as expected? Can I switch back without effecting my active forms? Outstanding! I love the new platform! I don't find V4 to be of any use whatsoever; I don't utilise mobile systems or employ a team who may wish to make individual changes / contributions to form creation. Would it not have been better to operate a dual system for mobile users as well as fixed location users? Now does this mean that the price will go up too? I did not see any mention of secure forms with a login? My business clients need that and save and return features. When I attempt to set up a field using a formatted Phone number, the result is faulty. Please check this function. I created a form before login then after sometime it said that "there is not Availiable space" so i am no longer unable to get my form i have build.Now i have done login so that i can retrive it ,but no hopes. Please suggest how to get my form back..
Not all cake and eat it! I tried the 4.0 beta at some point, and discovered some of my forms didn't display properly, so I reverted back to v.3. If I switch now that 4.0 is in "production", and discover forms that still don't display properly, will it still be possible to revert my account back to 3.0? (I see the two radio buttons in Settings, but does doing this permanently change any of my forms?) I can't recall, but some of the forms might have been converted FormsCentral forms. Looked good! but... I opened the advanced design panel, it showed the old undesigned form... instead of my new one with changes... unfortunatly i saved it and 3 hours of work were gone... :-( in version 3 it showed the real one. 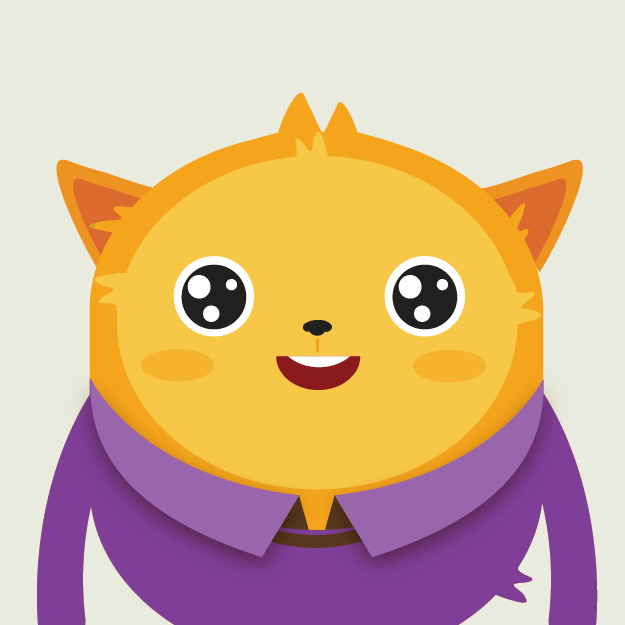 Helped a client create a payment form yesterday and I love the usability of the new version. Good work! Love the new features of this version! You have obviously been working hard on this. So much simpler, more intuitive, easier to work with yet still keeping all of the functionality.  Only negative comment that I have is the handling of the widgets in Form Elements. There is no preview of what you are going to get,. Once you click it, it is inserted in your form. How do I upgrade from V3 as well as update all my current forms?